The Annual Camp Shaver Benefit Dinner is on Friday, March 15, 2019. For more information Click Here. We want all children to have a sense of accomplishment, whether it’s through being away from home, learning a skill, or trying something new like rock climbing or archery. Our goal is to have a place that children feel safe and cared for while they are away from home. A place where they can belong. 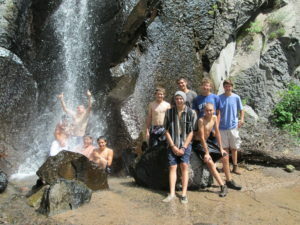 At Camp Shaver, we foster the feeling of belonging from the moment your child arrives at camp. Since 1945, our campers have been calling Camp Shaver their “home away from home”. 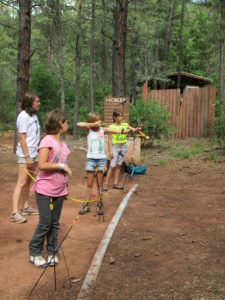 At Camp Shaver, all our programs are designed to develop and reinforce character, with an emphasis on the core values of responsibility, respect, caring and honesty. Teens looking for an opportunity to develop skills for leadership positions at school, church, work or camp will find out leadership development program extremely valuable. The Leaders in Training program focuses on individual leadership development, teambuilding and self-discovery. Their active schedule includes time for both learning and practical application, as well as forming tight-knit friendships with a healthy dose of fun! 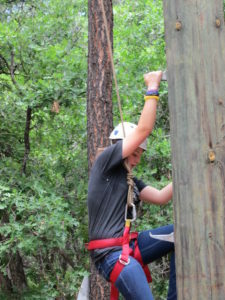 During each 3 week session, Leaders in Training participate in a short backpacking trip, our most challenging ropes course elements, several community service events, work together to plan and present one of camp’s daily chapels and all camp activities and be certified in First Aid and CPR. In their third week, Leaders in Training will practice their skills by shadowing a counselor in their assigned cabin and program area. This program is for 16-year-olds who want to volunteer up to 5 weeks. To apply for this program, teens must fill out a volunteer application. Camp Shaver’s strongest asset continues to be the high quality of its staff team. 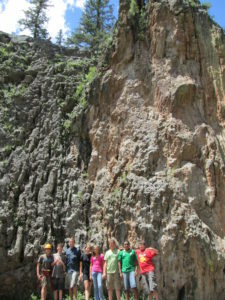 Our year-round professional staff has a full-time responsibility and commitment to camping. All of our senior counselors are college age and chosen for their maturity and desire to be a good role model for campers. The relationship between a camper and a counselor is at the heart of Camp Shaver’s success. Our summer staff of over 24 members provides at least one leader to every 4 campers. Two staff live, work and bond with each cabin unit. We sometimes have international counselors who enhance opportunities for cross-cultural understanding. A registered nurse is on site 24 hours a day in our health center. All meals are prepared with your active child in mind. At Camp Shaver, our food not only tastes good but is healthy and well balanced. 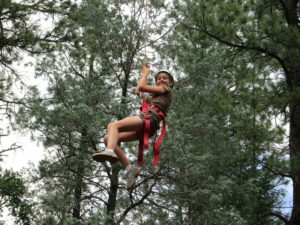 Activities are an integral part of Camp Shaver. Not only do kids learn new skills such as archery and dance, but more importantly they learn to work together and build leadership skills.